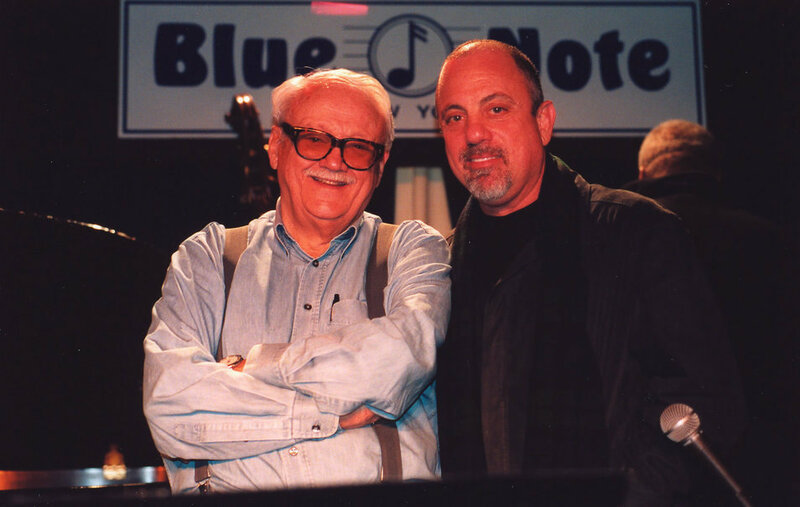 Billy Joel and Toots Thielemans at The Blue Note. Photo: Dino Perrucci. Original studio version of "Leave A Tender Moment Alone"
Toots Thielemans accompanies Billy Joel on "Leave A Tender Moment Alone" during Billy's 1983-1984 tour. Toots Thielemans performs "Leave A Tender Moment Alone" on Late Night with David Letterman from the mid 1980s. 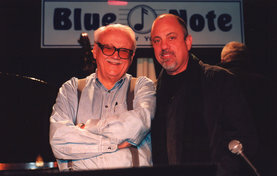 Billy helps Toots Thielemans celebrate his 80th birthday at The Blue Note on April 20, 2002. They played several standards. Billy on "Leave A Tender Moment Alone" from SiriusXM (audio). You can see a snippet of Natalie Cole singing "Leave A Tender Moment Alone" at the MusiCares show in 2002 at 1:45, a nice jazzy version; wish it was complete. Toots Thielemans covers "Honesty" on his 1979 album, Ample Dimple. Toots Thieleman's most famous song is probably "Bluesette." Billy said "Leave A Tender Moment" alone shared a similar rhythm to Burt Bacharach songs such as"What The World Needs Now" (sung by Jackie DeShannon, above) . . .
. . . but I think it is more like Bacharach's "Close To You" with the lilting syncopated piano. Here are The Carpenters singing "Close To You." . . .and "Walk on By" by Dionne Warwick who sang many Bachrach songs. Bacharach and Hal David composed a string of hits in the 1960s and 1970s. This is my favorite Bacharach/David song "I Say A Little Prayer (For You)"